As a fan of classic cars, I’m not really happy about destroying them to create sculptures, but for this one I could make an exception because it looks totally awesome. 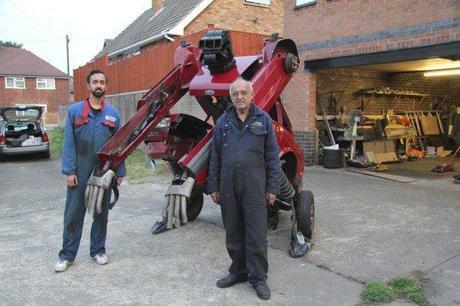 Hetain Patel, an artist in UK has created this cool transformer sculpture out of his old 1988 Ford Fiesta. Apparently, this car was handed down to Hetain from his father. And this was the only thing he could think of doing with it. We’ll at least he got some help from his father in creating this. 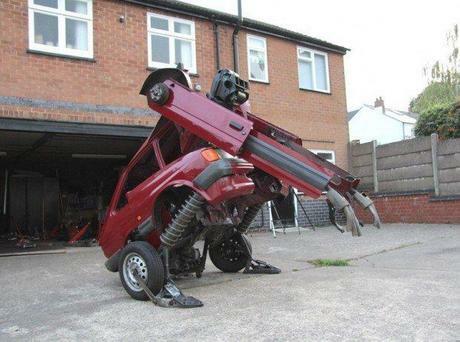 In some angles, it actually looks like a transformer that just got stuck in the middle of its transforming process.